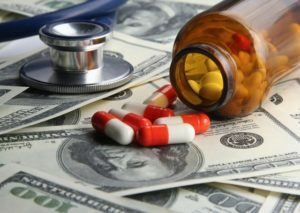 Let MI Doctors Decide conducted a study on Michigan’s top 25 health insurance plans, and none of them received a grade higher than “C.” Grading assessed the ability of plan beneficiaries with Crohn’s disease, multiple sclerosis, psoriasis, psoriatic arthritis, and rheumatoid arthritis to access their medications. The study notes that patients in Michigan face substantial hurdles in obtaining their medications due to health plans’ restrictions on benefits. The Grand Rapids Business Journal featured this study as well as the survey that Aimed Alliance recently published regarding provider perceptions of utilization management practices. Let MI Doctors Decide is an initiative of the American Autoimmune Related Disease Association (AARDA). Read more here. © 2018 Aimed Alliance is a 501(c)(3) nonprofit organization. All Rights Reserved.